RUSH: Hollywood is livid with Kevin Spacey. Do you know what he did? So this actor on Star Trek: Discovery, which is being streamed only on the CBS All Access app, which, by the way, I watched the show. It goes live every Sunday night, and, you know, I’m not a Star Trekker. I haven’t even seen the entirety of the original series. But because it’s on the CBS app and I’m playing around with this stuff, I watched it and I kind of got into it. So I know who this actor is. I never heard of this actor. His name is Anthony Rapp. He plays a science officer on the new Star Trek series. Anyway, this is the guy who claims that Kevin Spacey hit on him when he was a kid on some show. This actor’s now 46 and this happened when he was a teenager or something. I think 46. It was a long time ago. And Spacey came out and said, “Well, I don’t I don’t remember it. But, if it happened, I sincerely apologize. It must have been a drunken occasion,” or what have you. And then within minutes he announced that he was living life as a gay man. And, you know, the Human Rights Campaign and the GLAAD people and all the gay rights groups had a fit because they thought Spacey was trying to excuse his molestation of the kid by saying he was gay. And one of the thing the gay groups are constantly battling is the idea that gay male homosexuality is a lot of pedophilia. This is an image they have been fighting for many moons, and Spacey came along and tried to gain — so he admits that he might have molested a kid, but he said, hey, I’m gay, which should give me cover. Because in the political world of militant gay politics, being gay gives you cover for a lot of things. But in this case Spacey was trying to get cover for molesting a kid. And the gay political lobby is not having that. They are livid. “Hollywood Furious With Spacey For ‘Hiding Under The Rainbow’ Amid Pedophilia Accusation.” They’re not gonna take away his gay card. It’s not a gay card. It’s a rainbow flag. But no. They’re not going to take it away. 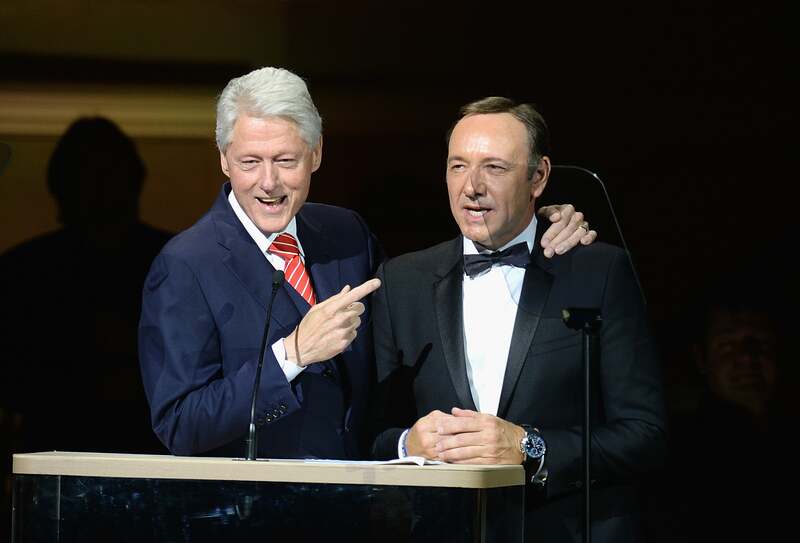 Spacey’s big hit is House of Cards on Netflix. So Netflix releases a statement claiming that they’re outraged by this and are canceling House of Cards after this season. Well, they were always going to cancel House of Cards after this season. They just started production of the sixth and final season of House of Cards. They film a lot of that show in Baltimore, by the way. And they’re not gonna get the postproduction on this ’til next spring. It won’t air ’til next summer. So Netflix is trying to say that they’re so outraged by this that they’re canceling House of Cards. But House of Cards was being canceled anyway before all of this happened. And people are saying, “Netflix, if you’re seriously outraged, cancel this season. Just shut it down.” And Netflix, they’re weighing whether or not to do that. I mean, contracts are out, payments have been made, the production has basically been laid out, all the people have been hired. So they’re probably gonna go through with it and then next summer they will announce House of Cards and everybody’s gonna think back to today, and so they still have time probably to write Spacey out of some scenes that he was gonna be in. Who knows. 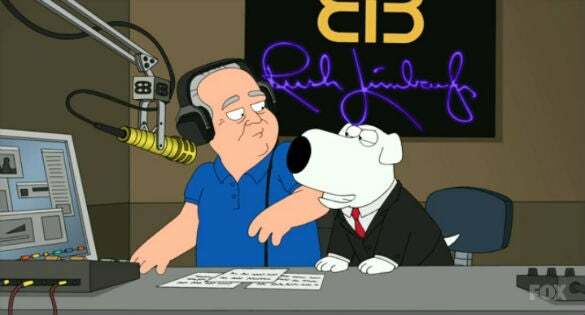 (interruption) Well, now, Seth MacFarlane. You know, I know Seth MacFarlane. Let’s go to the sound bite. Seth MacFarlane knows stuff. Seth MacFarlane — now, some of you may have a problem with elements of Seth’s politics. Some of you have a problem with Seth’s comedy on Family Guy. I’ve been on Family Guy two or three times, and I can just tell you he’s been as warm and nice and accommodating as anybody ever has. But forget the politics for a second. The guy is just supremely talented at song and dance, voice acting characterizations, writing. I think one of the life shaping moments for him, he was actually scheduled to be on one of the three 9/11 flights and overslept and didn’t make it, didn’t make the flight. And obviously to anybody that happens to, it changed their perspective. But he’s just a supremely talented individual. His politics to me are, you know, way over there. And he thinks the same thing of mine. But he’s one guy when I had the faux heart attack in Hawaii, he was the first guy to call. Well, he wrote. I don’t take calls. Anyway, Seth, when he emceed the Epidemic Awards, outed Weinstein, years ahead of this, and it turns out that Seth, back in 2005 on Family Guy outed Spacey, 12 years ago, because, like Weinstein, everybody knew about Spacey. Everybody knows about everybody in that business. That’s why Meryl Streep feigning ignorance over all this just rings hollow. They all know what’s going on out there. Folks, have you ever wondered why — look at where all of this sexual harassment and abuse of women is. It’s in Hollywood. Wherever you go that liberals run things, it’s a cesspool. And yet who are they? They’re the ones that preach to everybody else about their religious values or their screwball conservative values. And they preach feminism and they preach enlightenment toward women and respect. Then you look at the roles women are cast and you look at the roles African-Americans are given, basically gangs, thugs, pimps. Women are placed in objectified roles, and yet these are the supposed leaders of all these social issues. These are the people preaching to us and everybody else how to live. When Mike Pence says that as a policy he does not go to lunch or dinner with another woman unless his wife is present, they mock him, they made fun of him. Who would you rather have your daughter interning for, Mike Pence or Harvey Weinstein? Or any of these other actors? And yet who do they laugh at and make fun and impugn and all that? You go to any city they run, you go to any institution or industry they run, and it is a cesspool, where everybody in the pool knows it. Everybody knew about Weinstein. Now this is all coming out. Everybody knew about Spacey. And then people are saying everybody knew at NBC and ABC about Mark Halperin. And they knew at MSNBC, Morning Joe, where they also preached what a bunch of stuffed shirts conservatives are. Everybody said they knew about Halperin then, they just looked the other way because the women apparently didn’t say anything. Well, the women don’t say anything because they’re afraid to. They speak up alone, and these are powerful guys, and it’s sayonara to the women, and they get blacklisted and have bad things said about their reputations. And they’re out of there. So here’s Seth, Seth MacFarlane back on January 10th, 2013, the Academy Awards. He’s hosting. He’s announcing the nominees for best supporting actress who were at the time Amy Adams, Sally Field, Anne Hathaway, Helen Hunt, Jacki Weaver. RUSH: Everybody laughed. That’s four years ago. Seth knew it, joked about it, lived the next day. Here’s Seth. This is from Family Guy, his Sunday night cartoon show. It’s from 2005. This is a clip of the character Stewie. Stewie is a baby, and Seth does the voice for Stewie. STEWIE: Help! I’ve escaped from Kevin Spacey’s basement. Help me! RUSH: I’ve escaped! He’s running down the street and says he’s escaped from Kevin Spacey. So the point is that everybody knows. Everybody knew. RUSH: Jeremy Piven accused of sexual assault by reality star Ariane Bellamar. You know, all of these perverts attacked Trump, remember, as unfit. And now look. And House of Cards shut down, canceled. I say it, it happens.